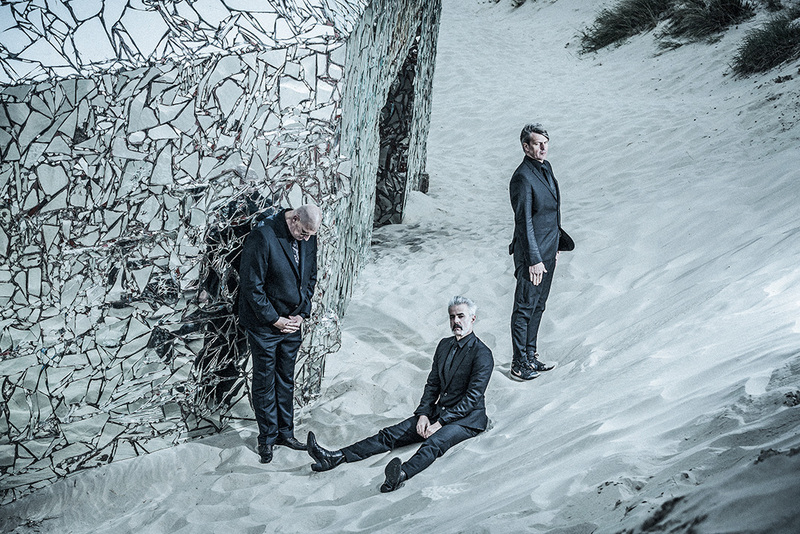 What is your name and role within Triggerfinger? Your new album Colossus will be released on August 25 with new label Mascot Records/Mascot Label Group. Please tell us about the Colossus and how it is working with the new label? Ruben: It seemed to us that Mascot has a very solid international structure. We were looking for a label that could release our music in all the territories we were playing, at the same time. Which they have been doing very successfully for a long time for other artists. We just started working together and our first experiences with how they work are very promising. You can state they have done this before. They know their game. Ruben: Colossus is the title of our new album and from one of the songs. Although when writing the song I wasn’t thinking about a physical creature but more of a metaphor. When time came to design the front-cover we sat down with art director Victor Robyn and thought it might be fun to come up with a physical incarnation. Hence the Colossus. Who did you callaborate with on Colossus and why? Were you suprised by the results? Ruben: We contacted Mitchell Froom to produce our next record because we are fans of a lot of the albums he has worked on. He was on the top of our little list of producers and he was the first to react to our mail and eager to sit down and talk music. We had the idea of trying to open-up our spectrum a little more. That idea seemed to get more shape ones I started writing songs and making demo’s. Those early demo’s held some cool vibes and ideas. When in Santa Monica in Mitchell’s studio we decided to start with playing and recording the songs live again but when there where parts of the demo’s that were more interesting or if they worked better we would use those early ideas or integrate certain parts. I guess that’s how we ended up with the exiting end-result. Ruben: I kind of hoped, in an ideal world, the recording session would turn out the way it did. We had an enormous amount of fun making this album. Which instruments did you use on Colossus? A few tracks have two bass guitars, what was the idea behind that? Ruben: When writing the song and making a first demo the first thing I came up with was the main bass riff of the verses I think. Then came the chorus hook. For a second I considered doubling that hook with guitar but since it was already suggesting something massive I thought why not try two basses? I played the second bass thru my guitar rig. It worked immediately. I played it on a Fender Mustang short scale bass. One thing lead thru another and the two bass approach seemed to work on some other songs too. 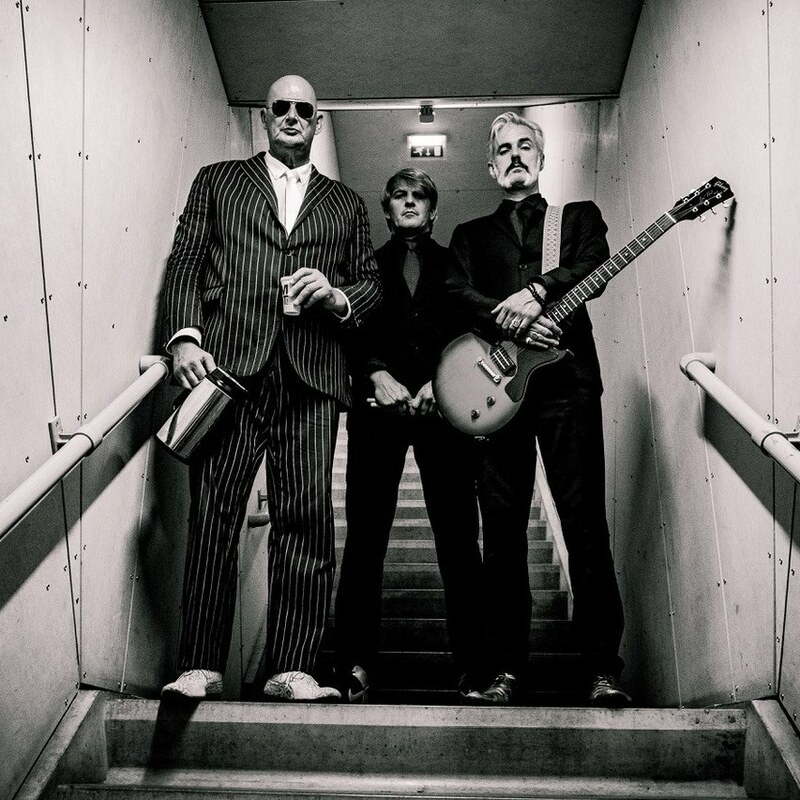 Triggerfinger built their own rehearsal studio for the record, so you could ’work and wail’ 24/7, was this as beneficial as it sounds? Ruben: It was great to be able to work whenever I wanted. It certainly presented the opportunity to record the demo’s in pretty high sound quality but the fact that I’m not much of a trained studio engineer allowed for lots of unusual results (some not very usable). Some of it did turn out very cool and early on presented an interesting vibe and direction for the album to evolve to. Colossus was produced by Mitchell Froom and engineered by Tchad Blake. As a team and separately they’ve worked with the likes of Los Lobos, Elvis Costello, Paul McCartney, Bonnie Raitt, Richard Thompson, Tom Waits, Arctic Monkeys, The Black Keys, U2, and Pearl Jam. 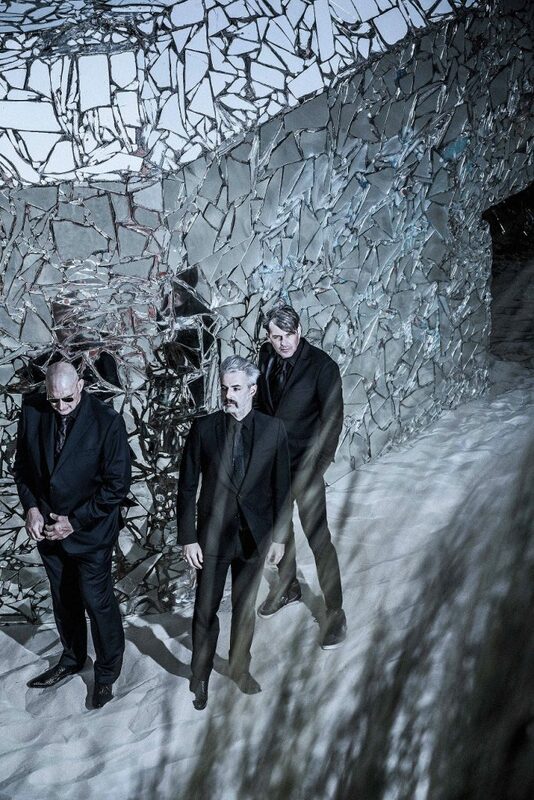 Triggerfinger met with Mitchel in June of 2016, and the band set up camp in Froom’s home studio in Santa Monica for six weeks,. The subdued producer quickly became a fourth band member, adding eerie sounds coaxed from his collection of vintage keyboards. How was it working with Mitchell? Are you pleased with the results? Did you have any expectations before the process started? Ruben: Actually Tchad mixed the album but didn’t record it. It was Mitchell’s engineer David Boucher who recorded the songs in Santa Monica. It was a collaboration of the five of us. Really. It all flowed pretty natural. Everyone tried to make the album as cool as could be from their part. David would try to record our instruments in very specific ways, deliberately choosing certain microphones, preamps or angels to get a very specific sound. Usually we would talk about the vibe of a song before recording it. Wondering what could work. What could be cool. And then we got to work. And if something didn’t turn out that great we would change it and experiment until it did. Mitchell had a very important role in the whole process but it didn’t feel manipulative. It seemed he almost hoovered over the whole thing, suggesting, trying out complementary parts on an organ or keyboard here and there but usually would ask one of us to try something. It was just the most amazing thing. After the recording we were very happy Tchad found time to mix the album. Apparently it’s been a long time since Mitchell and Tchad worked on the same record. I think they liked that a lot. For us it made complete sense that that could work out great. And it absolutely did. Ruben: We’re doing a lot of press and promotion for the new album and rehearsing for our upcoming tour. It’s nice to see the older songs in the set slightly changing colour when they’re shoulder to shoulder with their new family members in the setlist. Live I’m playing through a new Magnatone 2×12” stereo Twilighter and an old Hiwatt dr103 head through a 2×12” cab. They seem to work very well together. Guitar wise, for now I bring two 60’s Gibson Melody Makers and two Princesses. They are build by my tech Stijn Kenens. They’re actually Gretsch corvettes but in a white finish with gold or pink pickguard. They used to make them in the 60’s aimed for the “women’s market”. Stijn made two guitars in that headspace with TV-Jones supertron pickups. They’re absolutely amazing. I also bring a Gretsch TK-300 shortscale bass or a Squier jaguar shortscale to play the songs with two basses. I play them thru my regular guitar setup. Ruben: I like to spend time with my family and friends. I like to read, watch movies, I go out running two, three times a week. I guess everything you see around you, what you experience might influence you. It doesn’t even happen intentionally I guess. Some stuff might nest itself in the back of your mind. So yes, I think it affects the music but I don’t always realise how. And maybe that’s a good thing. I think it’s basically Rock and Roll..? Very little. Almost negligible. It can be a great advantage if you know music theory but it’s not always necessary to make cool music I guess. Start playing the new songs and going out on the road. By the time we’re getting sick of being home we’ve usually got a tour lined up and after a couple years on the road it’s time to make a new album again. It seems to work out fine like that for us. I just loved playing guitar. First the fact you can strum a song is an amazing experience. After that a couple of songs. A major step up is when you discover the fun in playing a song together with other people and feel the interaction.. You try to rehearse regularly… until you play a show. The next step. The kick to perform live and realizing you can have 100 rehearsals but nothing compares to playing a gig live in front of an audience. You get more gigs. You get gas-money and a couple of beers. You start writing songs.. After a while you play all over your little country. You try to work part-time and make some more time for music. You start playing across the border.. You quit your part-time job because you can also do some gigs with or without the band to support other musicians.. You play and you play and sometimes don’t know if’ there’s gonna be any gigs next month but then something turns up.. After 25 years you realize you still love what you do and consider it a privilege to be able to make a living playing and writing music. There’s always different stuff flying around. One album I’m playing regularly is a birthday-present from a friend: Black Peak by Xylouris White. It’s Georgios Xylouris who sings and plays Cretan laouto and the fantastic Jim White on drums. The World Is A Beautiful Place & I Am No Longer Afraid To Die announce new album ‘Always Foreign’, out September 29.